SPACE STATION NATHAN: Name That Dragon! A few weeks ago, a writer I know, Janette Rallison, put up a funny request on Facebook. She had a dragon character in a book she was writing, but she didn't know what to name it, so she was asking for suggestions. She got TONS of them. My suggestion for the dragon's name was "Steve." I don't really know what she ended up with, but I thought I'd steal her request and turn it into a game here. 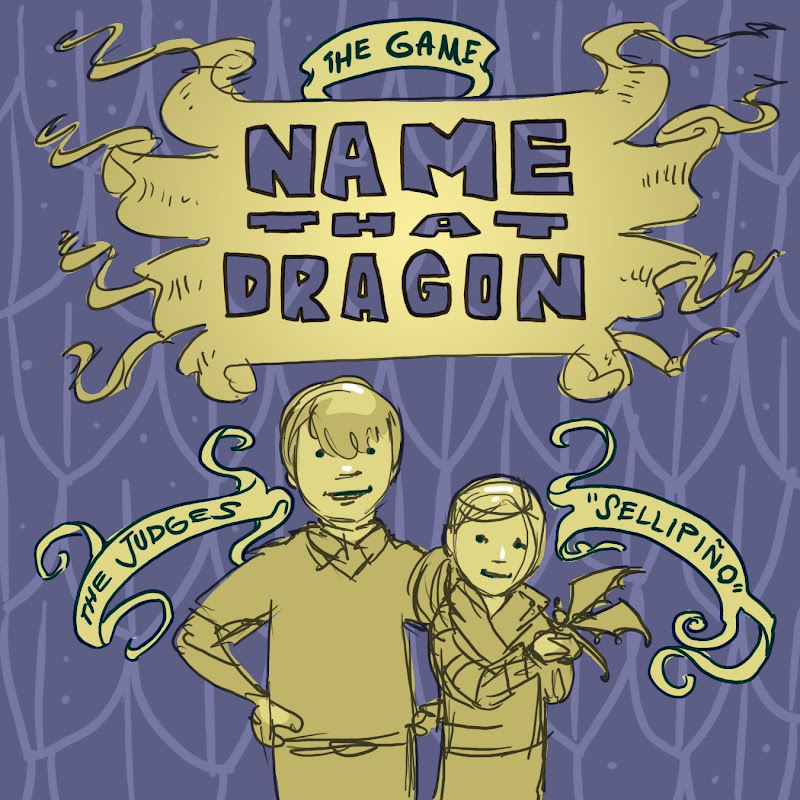 So here's how to play: Each day I'll post a drawing of a dragon, and you get to name it--or try to name it. My team of crack judges will choose the winning dragon name each day. I'm too biased to choose the winners, so I will not be a judge. The judges will be my two kids, Uly and Lucy. Ages 9 and 5. They won't know anything about the commenters, just the name suggestions. Lucy has named her toy dragon (a rare LEGO one she stole from me) "Sellipino," so she knows a cool sounding dragon name when she hears one. The winning name gets to...well...be the winning name. There aren't any real prizes, just the satisfaction of knowing that you named that dragon. And, since the judges won't know who you are, there is the possibility of winning multiple times. Tomorrow I'll post the first dragon drawing. Get your naming caps on! This should be...interesting.